Most of the android mobile users fritter away their device resources for something that is not required and not used at all, for example: wireless utilities such as Bluetooth and WIFI are enabled, and kept "on" even after its use, which will not only drain your battery fast but also utilizes and allocates additional job for the CPU of your devices which increases its temperature. Due to this increased temperature of the CPU the device will hang and sometimes lead to melt the chipset. 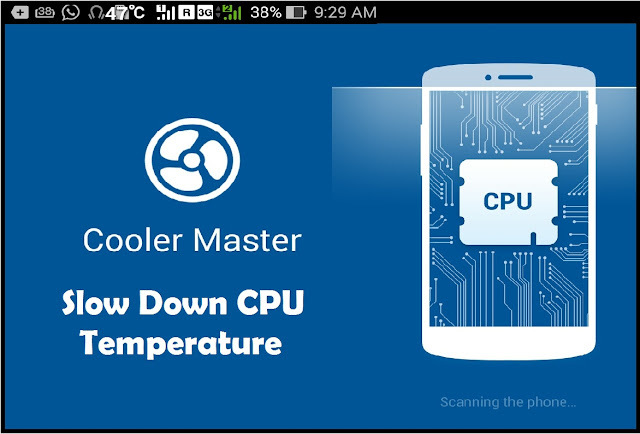 Usually a device that expels a lot of heat run's slower than the cooler device, this is because, as a preventive measure to throttle down the over heat produced by CPU, the system automatically reduce the performance and speed of the device by half, So even the phone with 2 to 4 GB of RAM and 2.5 GHz of processor will abruptly slow down and reduce its performance due to the excessive heat produced by the CPU. 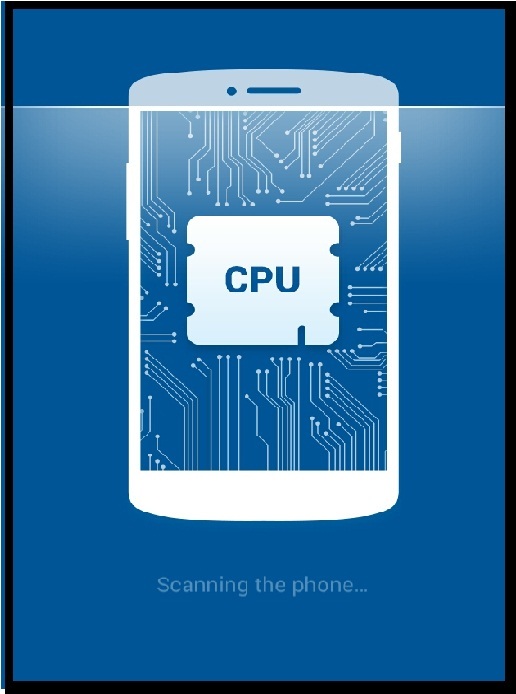 If it is a desktop computer, the excess heat produced by the CPU will damage only some parts/components, since mobile device was designed compact and chipset is housed in a smaller package without any space between different chips, the extreme heat will affect the entire device either physically or internally. Aborting unused application would be the ideal measure to prevent several running applications in the background, however there are application that run's automatically without notice and utilizes mobile data and CPU after every restart or till the next update. So aborting these applications every day one by one in settings would not be the ideal measure in this app world. If there is an application that ruin's device performance, then there must be some other app that save your device as well. 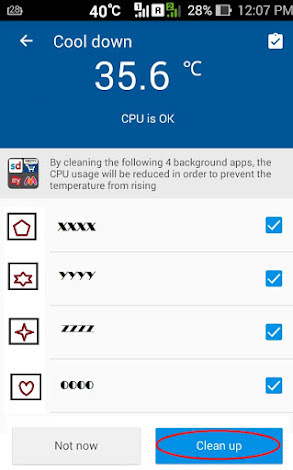 How to Prevent CPU of Android Mobiles from Over Heating ? Android phone comes with different processor, hence different processor can withstand different temperature level. 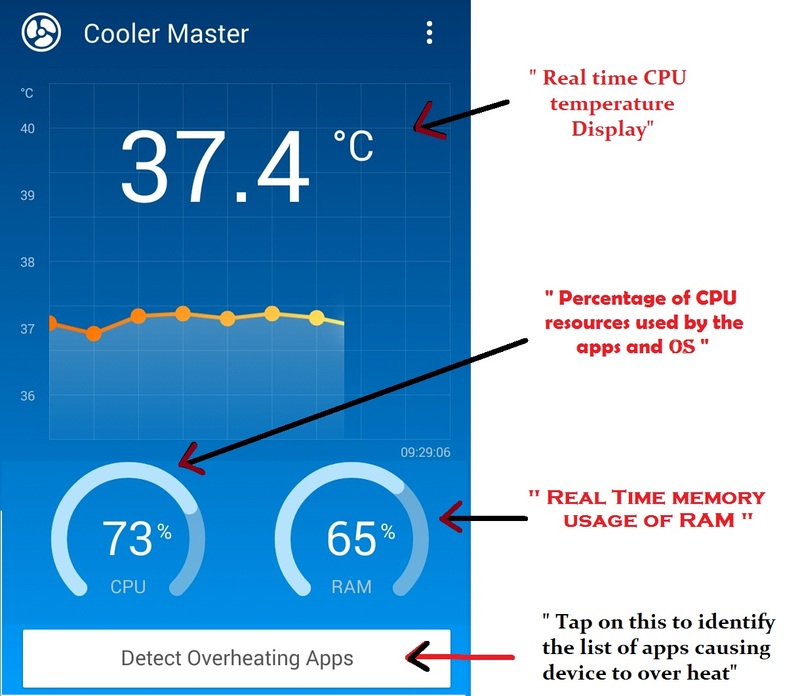 According to the user's experience intel processor expels excessive heat when compared to other processor such as snapdragon etc and shuts the device automatically when overheated like it do in intel powered laptops. 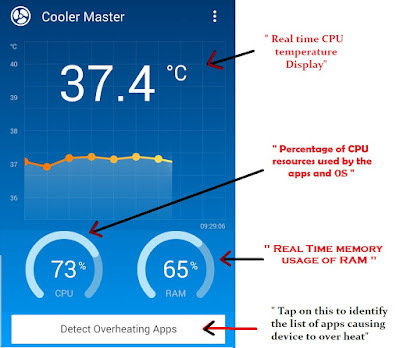 One application that we recommend from the billions of the other application, that restrains applications that ruin your mobile device battery life span and CPU is CPU cooler. Step 5: Click clean up to stop all the application listed that were running at the background. Note: If you want some of the application that cause the device to overheat to still run at the background purposefully, un-check the application to add it in the whitelist. Step 6: Done ! now you're good to go, you will feel a significant decrease in the temperature of your mobile device then on. Now you'll not find your android device lagging and hot, because you know what caused your device to lag and know the solution to rectify it. 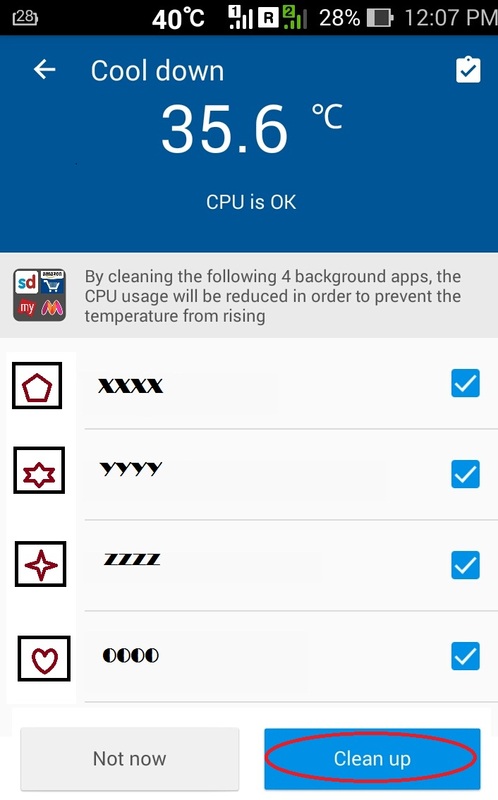 And also additionally this app will let you toggle between Fahrenheit and Celsius to measure the CPU temperature, you can choose whatever calculation method you're comfortable with by changing "temperature Unit" in app settings. Did you know: It's quite normal that mobile device gets little extra hot while charging the device, this is due to the loading of power into the battery, so nothing to be worried.